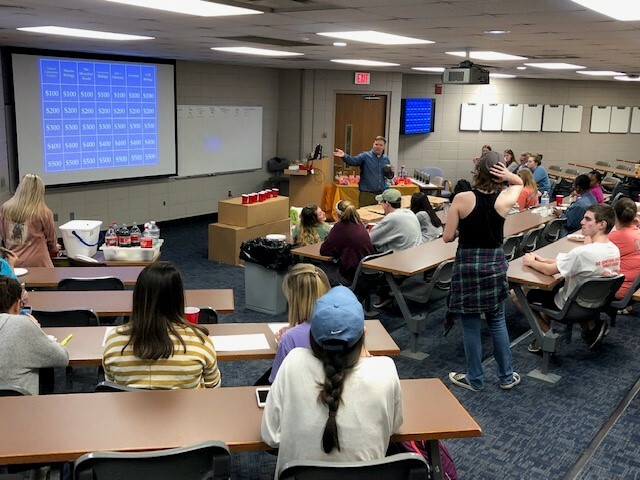 More than 40 students participated in this year’s BioTrivia contest, a collaborative event led by Dr. Mark Liles, Dr. Paul Cobine, Valerie Tisdale, Kat West, and Dr. Robert Boyd. Five student clubs worked together to compete. Students from Lambda Tau, Marine Biology, Microbiology, Society for Conservation Biology, and Tri-Beta participate with interesting categories such as “The Microbial World” and “Deadly Biology” in the contest. Students participating in this year's BioTrivia contest. 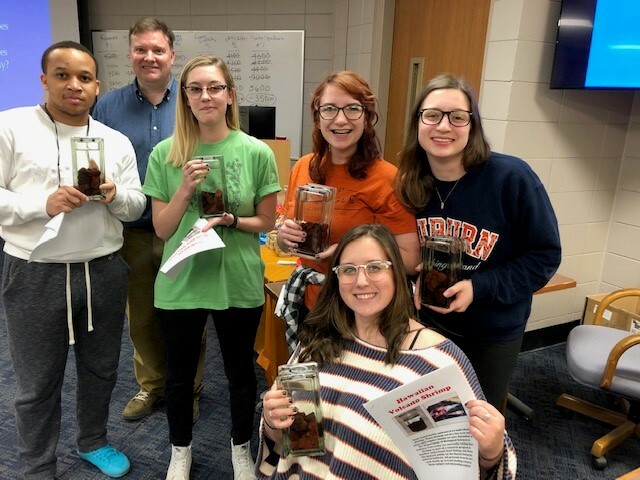 Students won an array of prizes including these Hawaiian Volcano Shrimp ecospheres contributed by the Chair of the Biological Sciences Department, Dr. Scott Santos. Students proudly showing their new Hawaiian Volcano Shrimp ecospheres at BioTrivia.